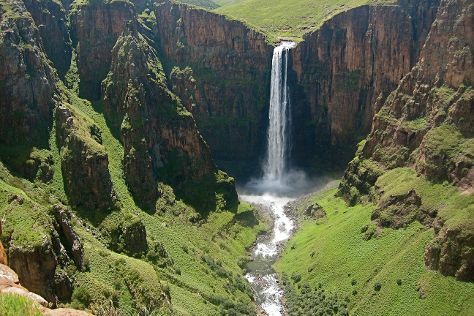 Explore the numerous day-trip ideas around Maseru: Mafika Lisiu Pass (in Pitseng), Gates of Paradise Pass (in Malealea) and Maletsunyane Falls (in Semonkong). There's lots more to do: take in the awesome beauty at Maluti Mountains, admire the engineering at Mohale Dam, stop by Lesotho Co-operative Handicrafts, and steep yourself in history at Ha Kome Cave Houses. For photos, ratings, other places to visit, and other tourist information, you can read our Maseru vacation planner. Johannesburg, South Africa to Maseru is an approximately 2-hour flight. You can also drive. When traveling from Johannesburg in April, plan for slightly colder days in Maseru, with highs around 23°C, while nights are about the same with lows around 12°C. You'll set off for home on the 28th (Fri).